We are excited to be celebrating Literacy Week at school next week. We start off the week with our kick off assembly/buddy activity in the gym on Tuesday morning. Wednesday afternoon we will have guest readers visiting our classrooms and we will also be doing our read-a-thon that afternoon. Friday we will have our usual class Family Reading time in the morning but we also have a jammed packed day that includes an Author visit and our final Literacy Week assembly. A reminder that we are encouraging everyone to dress up on Friday Feb 1st as their favourite book character. Read-a-thon pledge forms were sent home last week from Ms. Solomon and need to be returned by Friday Feb 1st. Please return all pledge forms even if no money has been raised. We look forward to hearing about everyone’s favourite stories and seeing all the great character costumes. Happy New Year!! We hope that you had a wonderful and relaxing Winter Break and that you had lots of opportunities to spend time with your friends and families. School starts on Monday and we can’t wait to hear all about what you did during your vacation. You should have received a number of notifications this past week from your child’s e-portfolio. If you have lost your log on information or you need help accessing the e-ports please send Ms. Pasqualetto an email. We look forward to seeing what 2019 will bring for Div. 13! Teddy Bear Day was a huge success! We had a busy and fun-filled day. Over the past few weeks, we have been learning about adaptations that animals make in the winter. We talked a lot about hibernating and migrating. We made bear shaped salt dough ornament which the children painted. 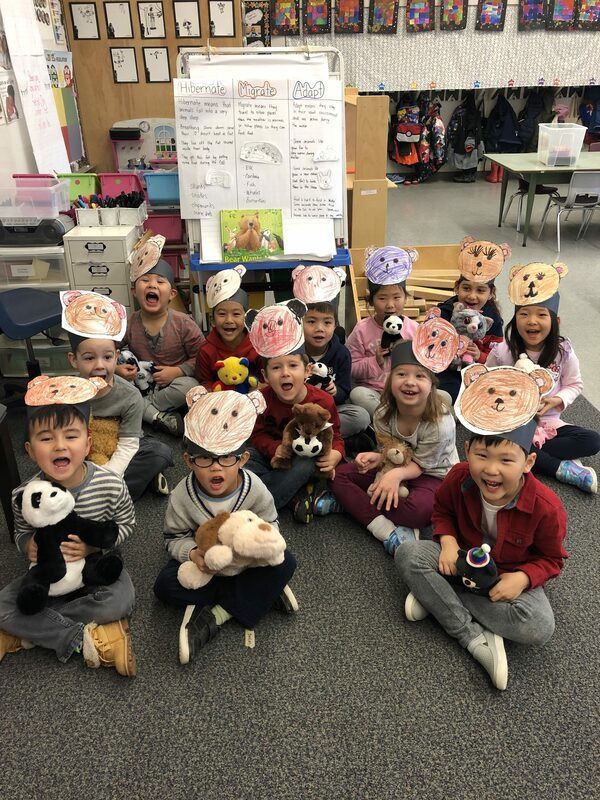 Today, for teddy bear day all students brought their teddy bears or favourite animal stuffy to school! 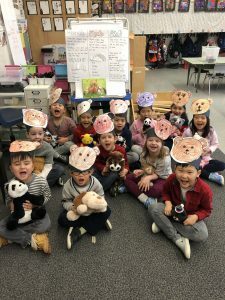 We made bear hats and went on a bear hunt! We measured and weighed our bears, and used our data to compare them to other children’s bears. This afternoon, we each graphed a small bag of gummy bears and recorded it on our data collecting sheet. Lastly, we all had a yummy treat! Please look for the bear booklets and bear ornaments that came home in your child’s planner. Perhaps while you look through the booklet with your child, you can ask questions to see if they remember what adaptations animals make in the winter. Looking forward to January when we will begin a unit on Penguins! Have a wonderful and safe holiday! Hooray! we are starting to post more pictures that communicate the learning we are doing at school to our individual E-portfolios. At this time the majority of the posting and commenting is being done by Ms. Pasqualetto and Ms. Dente with input from the students but as the children become more comfortable with the process they will slowly take more control of what gets included in their E-ports. Parents you will have likely received e-mail communication already indicating that you have been subscribed to this blog and to your child’s E-ports using the e-mail addresses you provided us at the Parents as Partners meetings. A notice will come home this week with your Parent log on ID and password as well as some tips on navigating the site, please change your password ASAP. As always if you have any questions do not hesitate to email us or speak to us at pick up. We are all very excited about Halloween this week and to ensure that everyone has a great time at school please make sure that if they are wearing costumes that they come already dressed in them as there will not be time to get dressed before the costume parade/celebration of learning Wednesday morning. If you would like to stay and watch you are welcome to and it will begin at 9:15. Students are reminded that masks and weapons or overly gory/scary costumes are not to be worn to school. We know that your children are likely very excited to dig into their Halloween treats that they get if they go out trick-or-treating but we do ask that items brought to school are nut free and that healthy snacks and lunches are still eaten as well. Now lets just hope this rain lets up by Wednesday night! We hope that everyone was able to spend some time this weekend recharging and enjoying the company of their friends and families. Thanksgiving in Division 13 was a chance for us to begin to dig into the Big Idea that Everyone has a unique story. We discussed some of the things we are thankful for and how each family celebrates holidays differently. We also had our first two Family Read times and all the students and families who were able to participate seemed to have enjoyed them. It is hard to believe that we are already into our second month of school. The past month has been very busy for us: We decorated Orange Shirts as part of Every Child Matters Orange Shirt Day and read the story Stolen Words by Melanie Florence. We participated in our school’s Terry Fox Run where the class did an amazing job of trying their best while running on the sand field and Thank You to all who contributed to our Toonies for Terry Coin Drive. We met with our Buddy Class (Div 6) to work on an All About Me project and we have been doing lots of Art activities such as painting self portraits, mosaic name tags, tie-dyed Autumn leaves and painting Jack-o-lanterns. The beautiful sunny weather makes it hard to believe that it is Fall and not still Summer. Please make sure that your child has a full change of clothes, inside shoes and brings a jacket with a hood or an umbrella. 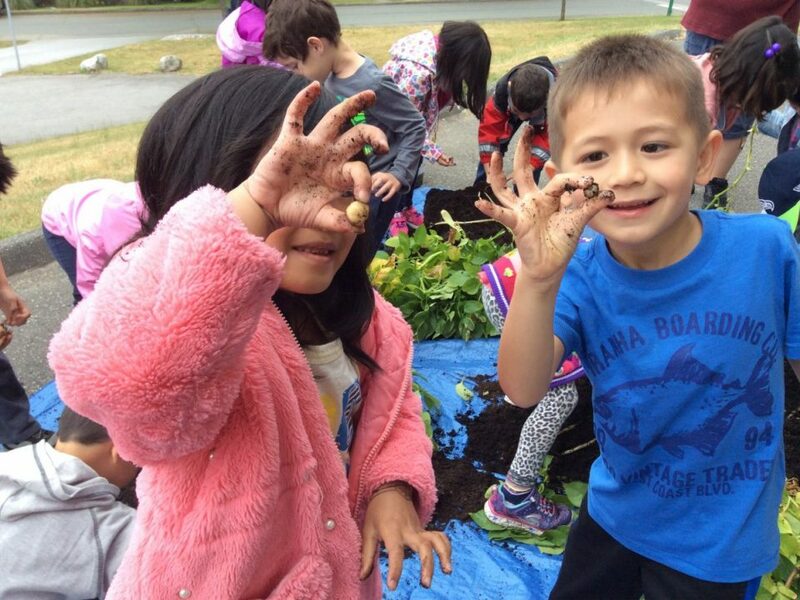 Recess and lunch are important times for children to get outside to run around and get fresh air and as such students are expected to go outside and need to be dressed in appropriate clothes for the weather. 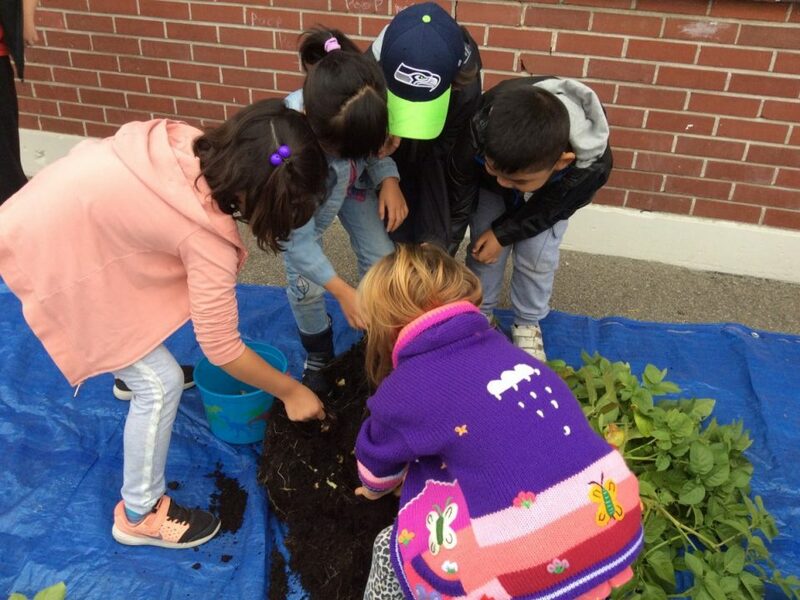 The class started with some disappointing news this morning that our Mobile Dairy Visit was cancelled due to illness but we filled our time instead with our potato harvest. 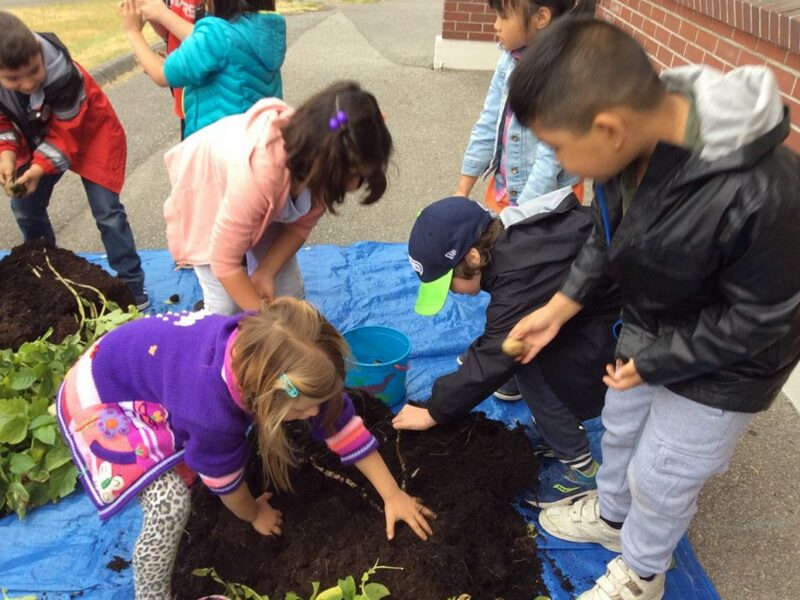 The kids had a blast digging through dirt, roots and stems trying to find all the potatoes. 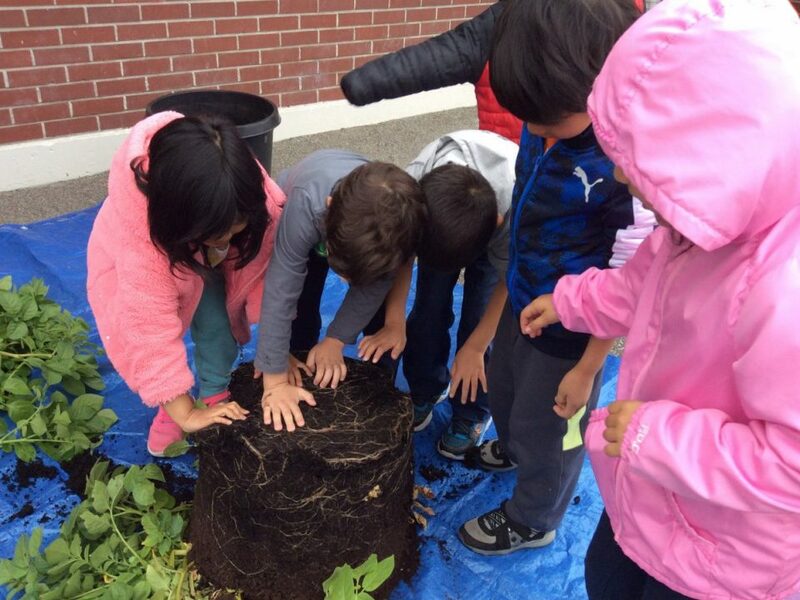 We notices that they grew in bunches and that we really had to dig our hands into the tangled mess of roots to find all the teeny tiny potatoes. 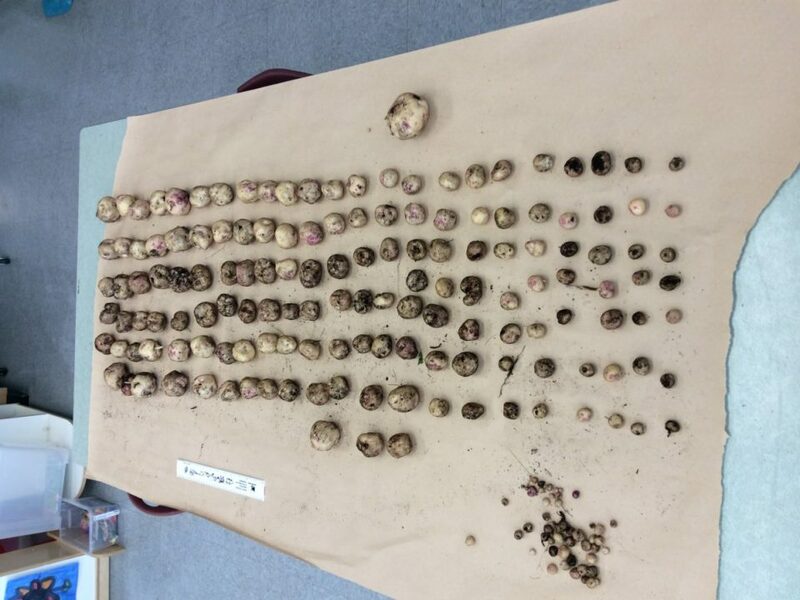 We started with 15 seed potatoes back in March and after we sorted them we had a final harvest of 193! I’m sure that there might have been a few more that we missed but there were 141 decent sized ones plus 52 teeny tiny ones that if we left for a few more weeks might have grown even more. Our largest potato was 7 cm long and our smallest was less than 1 cm. 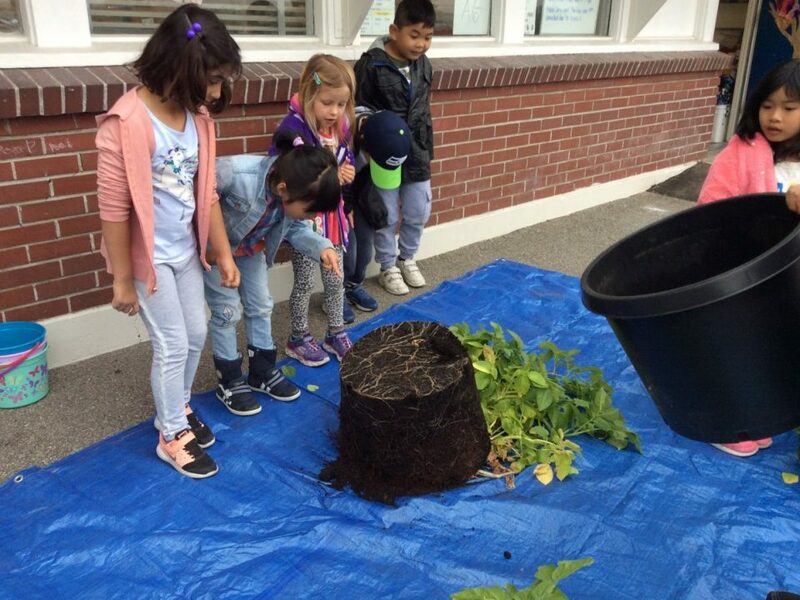 Thank you again to Agriculture in the Classrooms for allowing us the opportunity to grow our potatoes through the Spuds in Tubs classroom program. Butterflies, Chickens and Cows Oh My!! 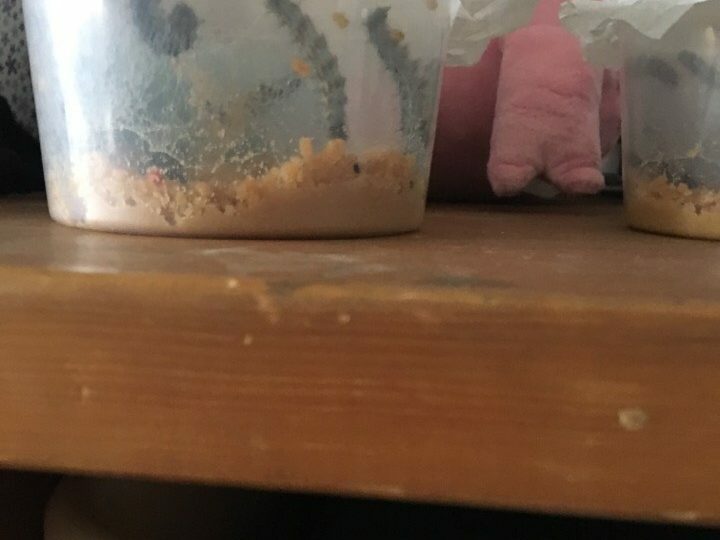 It has been a long time since my last update but part of the reason is because so much has been happening both in and out of our classroom. In Science we have been studying about plants and animals and their observable features. 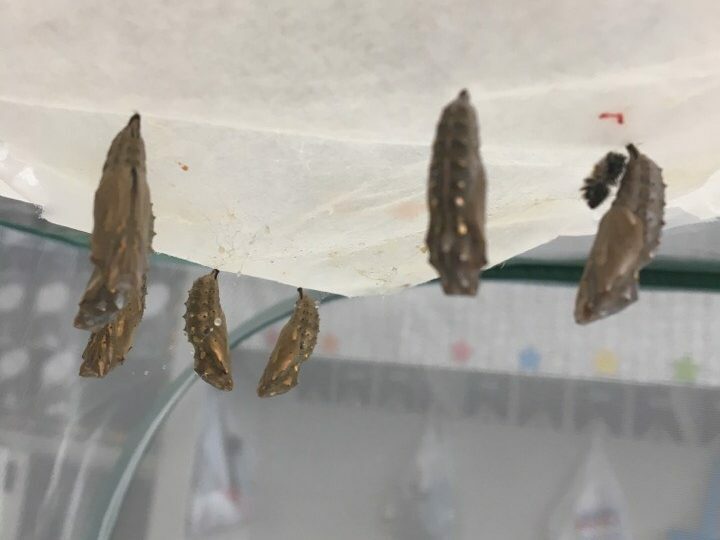 We witnessed almost the entire life cycle of a butterfly when we first brought in tiny caterpillars that ate and ate and ate until they formed their chrysalides and eventually emerged as beautiful butterflies. 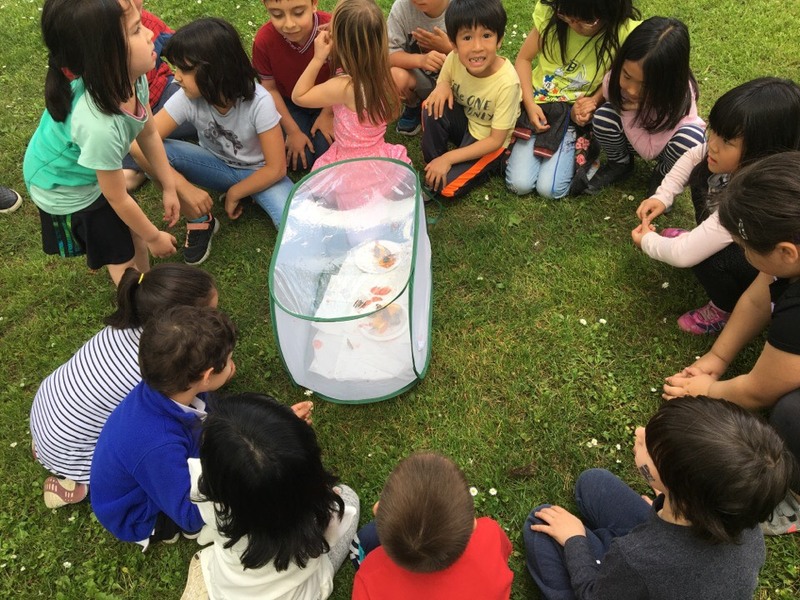 Most of the annex took a quick walk over to Willingdon Park to release them but they didn’t fly off immediately so many of the class were able to have them sit on their hand before they fluttered away. One of the common things that could be heard was how much their tiny feet tickled as they walked along our palms. Butterflies were not the only thing that we have been able to observe. 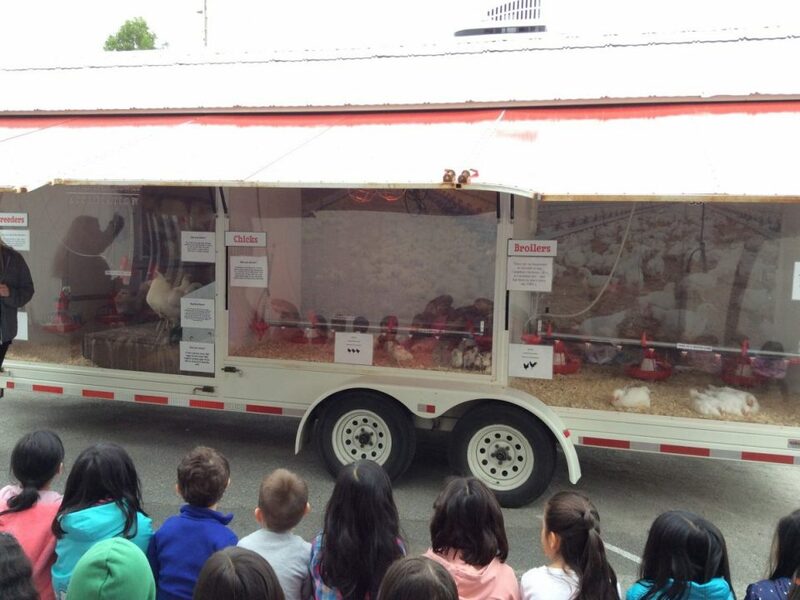 Last week we had a visit from the Poulty in Motion truck. 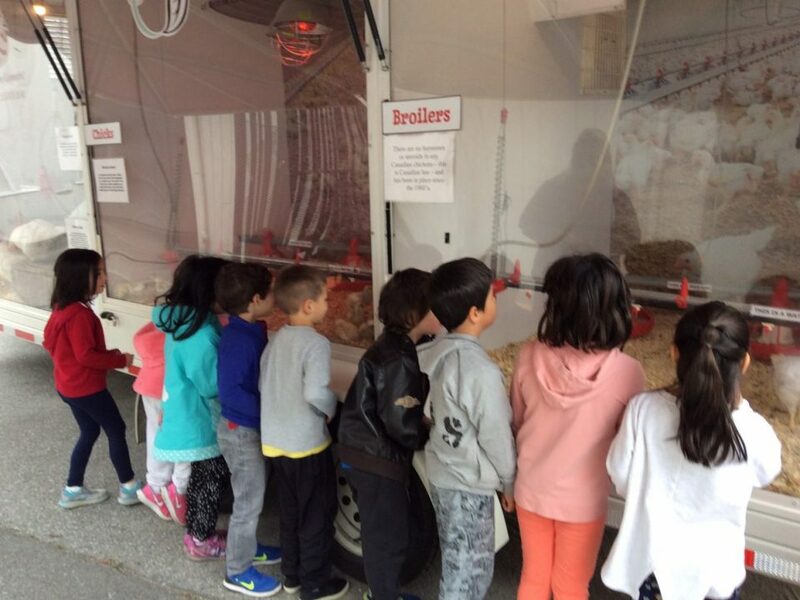 It is a mobile poultry “barn” that our class was able to visit and see some 7 day old and 5 week old chickens. 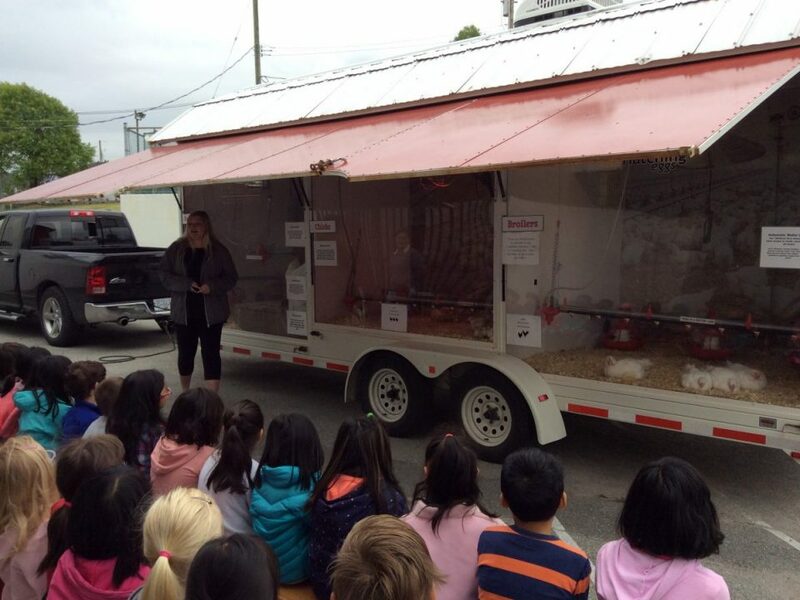 Some students mentioned that they remembered seeing the chicken coops at the PNE so it was a neat experience to have them come and visit us at school. 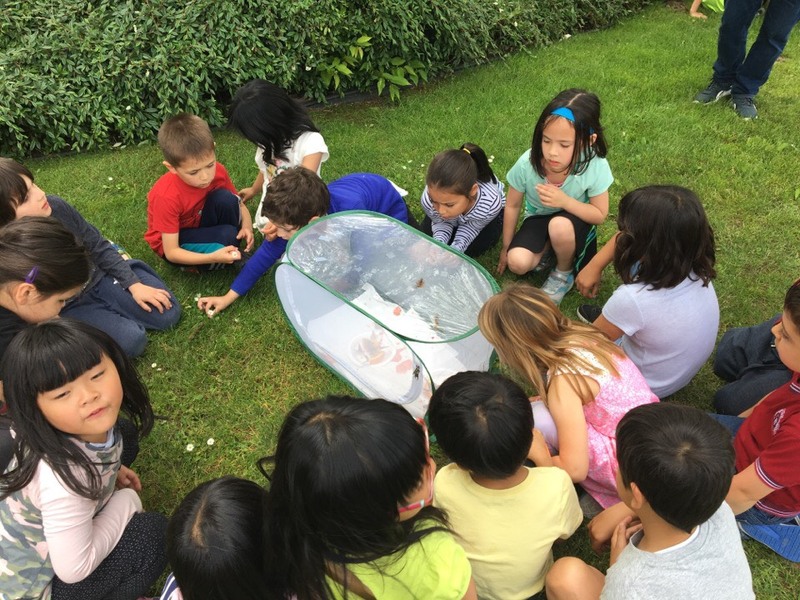 It was also neat to be able to go and observe the chicken eggs in their incubator in Ms. Hardie’s class as both her and Ms. Laity’s classes are trying to hatch chicks in their rooms. 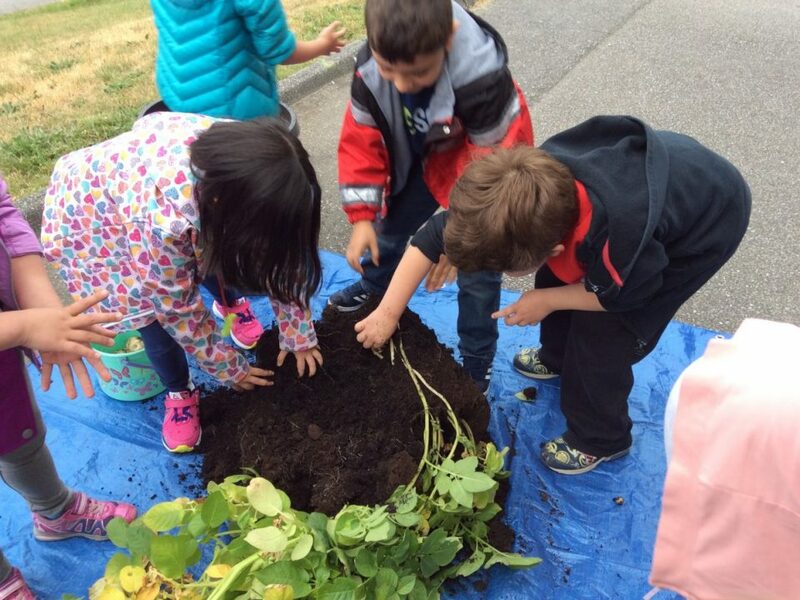 We are now anxiously awaiting our visit from the Mobile Dairy that will be coming to visit us this week and also our potatoes that we have been growing in and outside of our classroom are ready to harvest. If the weather cooperates we hope to harvest them and get to eat some of them this week! Lots of great learning has been happening even though the school year is quickly coming to an end. I can hardly believe we have only two more weeks left! Earth Day is on Sunday April 22nd and Kitchener will be participating in weekly activities that will raise awareness on ways that we can help keep our Earth clean. Our first activity was held on this past Friday where we had our own version of Earth Hour called Kitchener Unplugged. 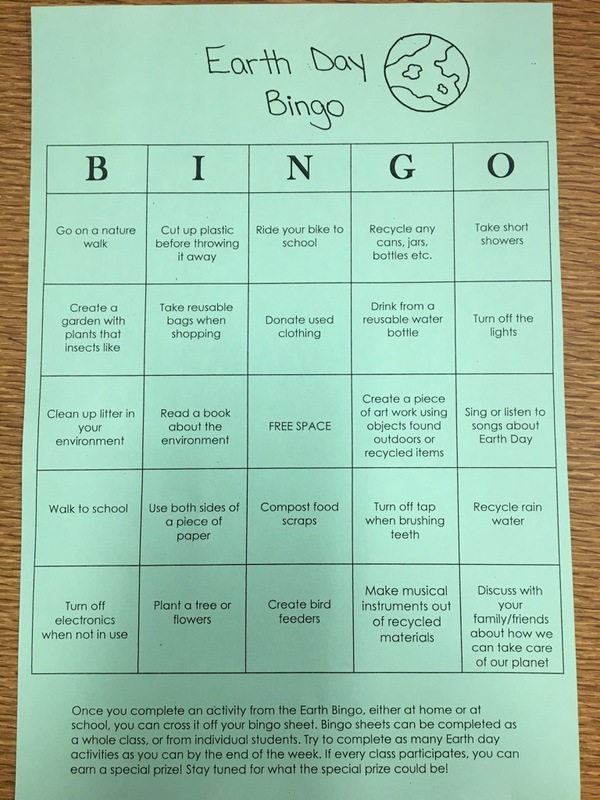 This upcoming week each class has been challenged to try to complete as many squares on our Earth Day Bingo sheet as we can (see picture below or the bingo board in our classroom window). Tasks can be completed by as a whole class or by individual students with their families. If you complete a task at home let Ms. Dente or myself know so we can mark it down on the sheet. On Tuesday April 17 there will be a bottle drive at the school where students are encouraged to bring in returnable bottles from home with the proceeds going to the Chari Tree Foundation. 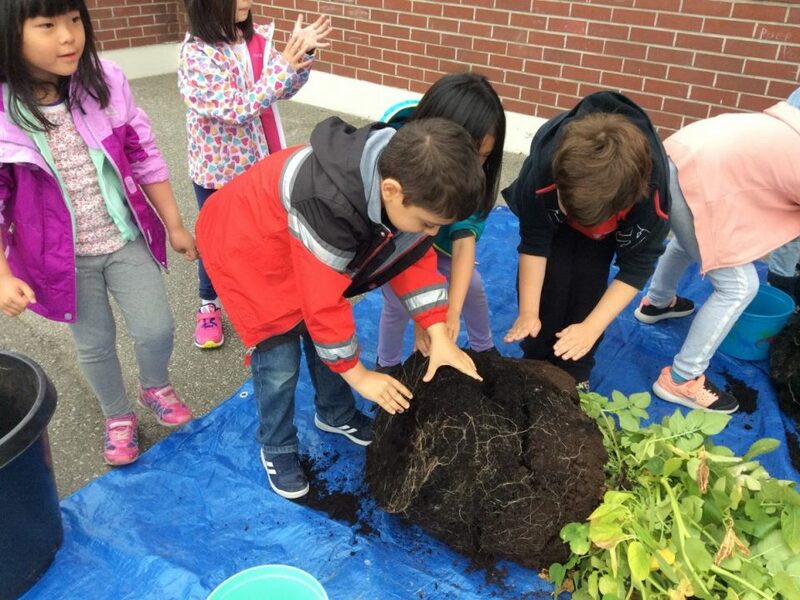 Our Kitchener Earth Day activities will come to a close on Tuesday April 24th when the whole school in their buddy class pairs will go around our community to help clean up garbage. I hope you have a great time participating in the challenges and activities! We read the story the other day called How to Catch a Leprechaun By Adam Wallace and discussed what sort of traps we could devise to catch a Leprechaun on St. Patrick’s Day. The students have come up with their first edition drawings of their traps and they have now been tasked with bringing small boxes (shoe, kleenex, cereal etc.) or other items that they might want to use from home to try make their Leprechaun trap with the help of their Older Buddies. We will be building our traps Friday afternoon so please send boxes or any other clean recycled items that your child would like to use by Thursday March 8th. I will provide tape, paper, toilet paper rolls and a few other items that they have asked for like the bait! I can’t wait to see what the kids come up with. Starting next week the whole school will be participating in tennis lessons as part of our physical education curriculum. A notice was sent home earlier this week. Please only return the notice to school if you are NOT wanting your child to participate in the lessons. If you have any questions please see Ms. Pasqualetto or Ms. Dente. The leadership team at Kitchener Elementary is trying to raise funds to purchase a billy goat to send to a Community in a Developing Country. Leadership students will be coming around to the classrooms this week until February 28th to collect money for this campaign. Wednesday February 28th is Pink Shirt day to raise awareness about Kindness and Anti-Bullying. Students are encouraged to wear pink to support this day and earn points for their House Team. The 100th day of school is quickly approaching on Thursday March 1st. I hope that your children have been busy making/creating or collecting their 100 items to bring to class. Students are encouraged to dress for the day as if they are 100 years old although they are not required to do so. If you have any questions please see Ms. Pasqualetto. What was your favourite part of the Bear presentation today?